Whether you're doing your "every six-months" security update or just feel like typing something different when you log in, you will occasionally need to update your Account Center password. 1. Log into the Account Center. 2. Click on the Contacts link. 3. Click on the edit icon next to the user that you logged in with. 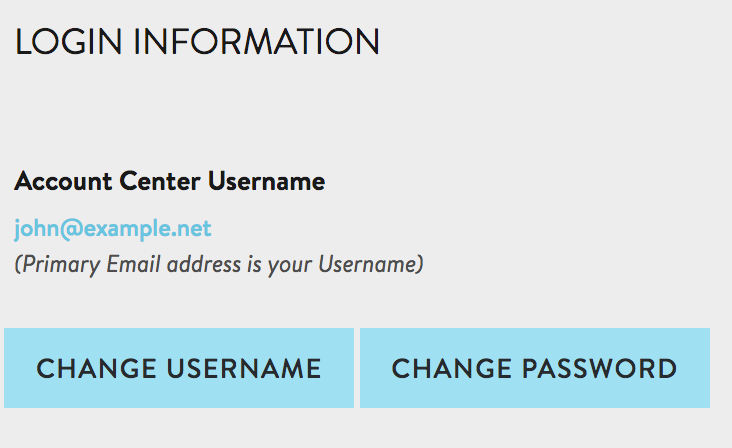 You can only change the password for the current user. 4. Scroll down and click on Change Password. 5. Enter your current password, then your new password twice. Please be sure to meet all the password requirements on the right side. When a requirement is met, it will turn green. 6. If all the requirements are green, then you can click Save at the very bottom of the page. 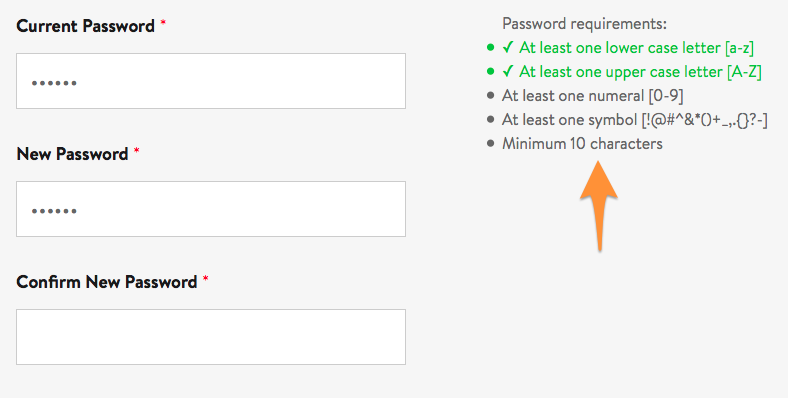 If Save is NOT lit up, then double-check the password requirements to make sure they are all green.